Hertfordshire is popular for rambling country estates, orderly garden towns and cathedral cities. There’s so much to do here: you can picnic outside mansions with forest backdrops, explore redbrick Jacobean manors with mazes and get close to snow leopards at exciting wildlife parks. The home county is popular for shopping too, with outlet malls and high streets to spend your hard-earned money. Why not make a weekend of it and stay at a modern hotel Hertfordshire? Beales Hotel is the perfect base for a weekend of exploring, with comfortable beds, stylish interiors and delicious food. Here are just a few things to see and do in Hertfordshire! St. Albans Cathedral is the oldest site of continuous Christian worship in Britain and stands over the place where Alban, Britain’s first saint, was buried after giving his life for his faith over 1700 years ago. Much of its architecture dates from Norman times, and you are able to explore it every day of the week, for daily tours and special events. Warner Bros. Studio Tour London is a behind-the-scenes walking tour featuring sets, props and costumes from the Harry Potter film series. Walk in the footsteps of Harry Potter and explore the wonders of the wizarding world! Inside you will find film sets, props, interactive features and plenty of photo opportunities along the way. There’s also a number of outdoor sets to explore, and you can even sample the legendary Butter Beer! Cassiobury Park is the perfect destination for a day out with the kids. 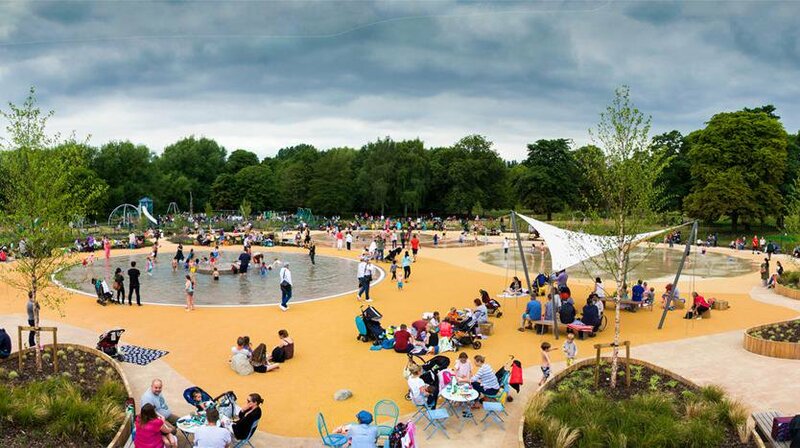 With over 190 acres of green space to explore, it’s the largest public open space in Watford full of activities and areas that make the most of the outdoors. There’s a Paddling Pool Playground which is great for children up to the age of 14 with swings, zip wire, trampolines, a stone maze and lots of different slides. There’s also a Cha Cha Cha Playground for smaller children and toddlers up to the age of 6. De Havilland Aircraft Museum is the oldest aviation museum in the UK, dedicated to the preservation and display of de Havilland Aircraft. The working museum is the perfect destination for a day out, especially if you have a passion or interest in the air craft industry. Alongside the working museum, there is also an aero shop and gift shop. There’s so many things to see and do in Hertfordshire – it’s just a matter of choosing where to start!